Living, working and playing together, Stagedoor campers develop friendships that last long after camp. 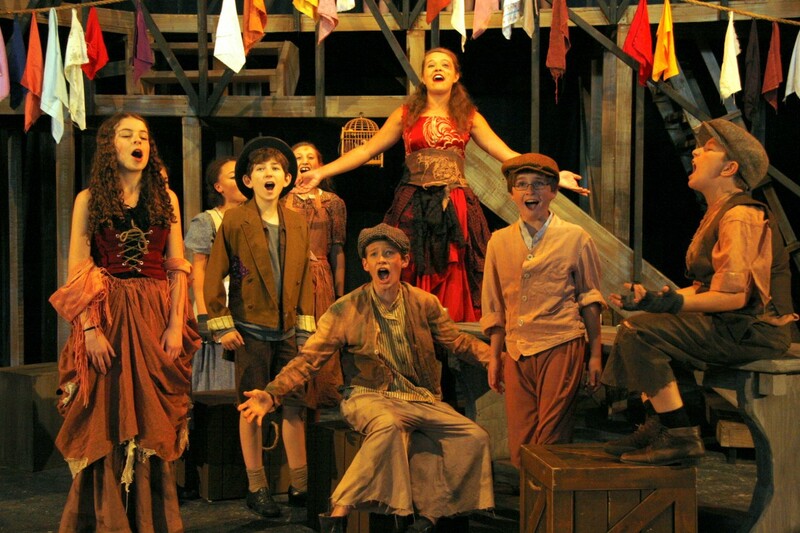 Campers all have one thing in common: Stagedoor kids love theatre! Time spent on stage and in classrooms is also time spent discovering a world of shared interests and support. And what a world it is! This summer, Stagedoor campers come from 6 continents, 24 countries, and 46 states! The counselors at Stagedoor are also top-notch. Each are involved in professional or university theatre and are 21+. With a ratio of 290 campers to 160 staff, supervision is mature and involved. We are located in the beautiful Catskill Mountains of New York State, just two hours from New York City. Once a former resort hotel, Stagedoor Manor’s facilities are far more comfortable than the conventional summer camp. Three to six campers share a carpeted dormitory-style room, which has private bath, twin or bunk beds, a full-size closet and several dressers. Although the camp is co-ed, our housing is not – and male students live in a separate building. Rooms are organized by age, and we work to ensure that new campers are placed with other new campers. A modern, 24-hour Health Center is supervised by a full staff of resident nurses. Students have access to our medical center and staff throughout the day, if needed. Our beautiful landscaped grounds – with rehearsal spaces, classrooms, and theatres dotting our site – give Stagedoor Manor a campus atmosphere. We strive to give each and every camper the experience of a lifetime during their time with us. What sets us apart from other performing arts training centers are the education classes and personalized training that we work to provide to each camper. Each session, campers are enrolled in six different classes, ranging anywhere from acting, musical theatre, vocal training, movement, dance, film acting, stage combat and so much more. We pride ourselves on the vast number of options and possibilities we offer. Campers can explore over 60 core classes as well over 25 specialty classes that are offered based on our incoming staff each summer. Campers attend three one hour-long classes on an alternating day schedule. One set of classes meets Mon/Wed/Fri and the other set of classes meets on Tues/Thurs/Sat. Classes are held for the first two weeks of each session and our program is designed to offer intense, process-based classes taught by a staff of incredible industry professionals. Sports are non-competitive for those who want to join in. Stagedoor offers a wide variety of recreational activities. We have Volleyball and a full-size outdoor pool! Evenings are filled with video dance parties, open-mic coffee house, relaxation with friends, outdoor movies, and student-organized games and showcases. Healthy selections offered in our air-conditioned dining hall include a fully stocked salad bar, as well as many vegetarian choices. Campers may return to the serving line as often as they wish. For snacks, we offer a canteen filled with a variety of chocolate bars, ice creams, and chips — not to mention bottled water and fruit bars. We strive to meet the individual dietary needs of our campers. Please contact us – before registering – if your child requires a special diet. At Stagedoor, our time is divided equally in 3 ways: Rehearsals. Classes, and Recreation. Take a look at our typical Daily Routine.